I choose the one in color 006 warm beige but the seller said that the color will not really effect the skin color. Most are likely give optimal color more to transparent. So, you don't have to be so blurry on what code you should choose or else you can take the transparent. This got the attention because the contain itself. Well, the color does not really show for the color. What else I can review about powder rather than it texture right. Hihihii.. The texture more likely velvet smooth feel to it, not too powdery and chalky feel which is good. This surely a good product to set your base/foundation where it can help to make the foundation stay in place. 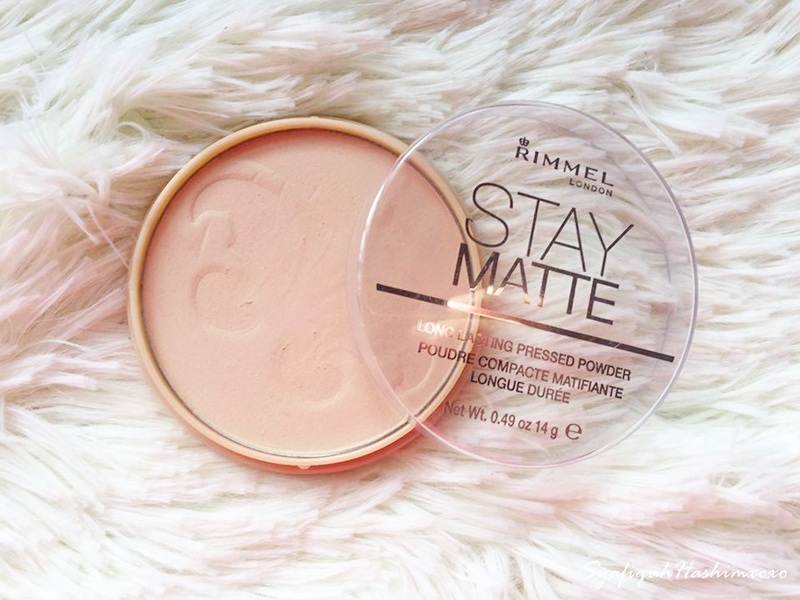 It deliver an optimal feel of powder to my skin.I think that, Rimmel Stay Matte Pressed Powder is suitable for those who have oil to combination skin because the finish of this powder is matte finish. 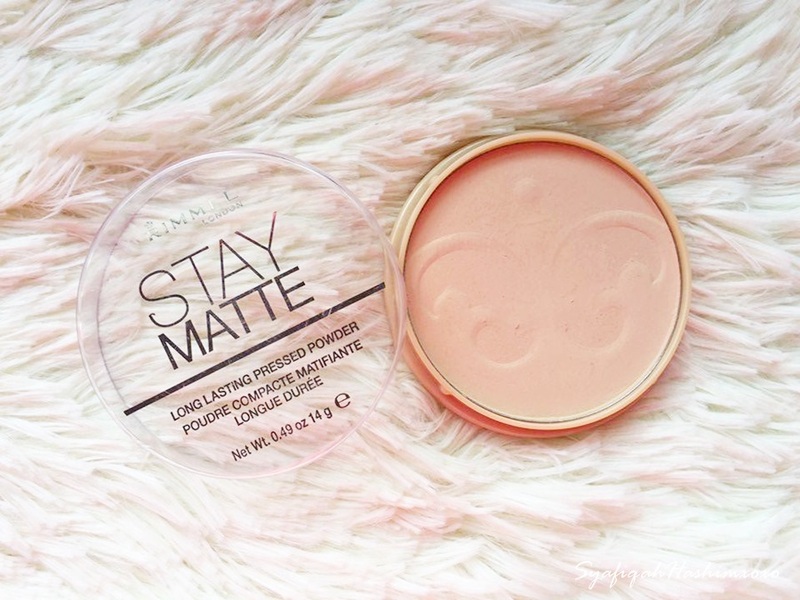 For me, this powder can control shine up to 5 hours especially in tropical country like Malaysia. 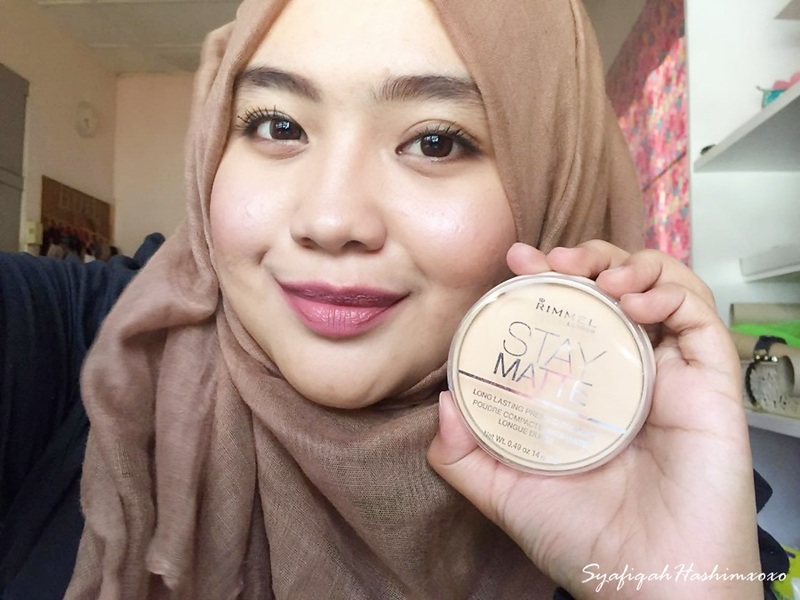 I know that Rimmel claims that this powder can last up to 12 hours but this also depends on your skin type and environmental. It also claims that this can helps in minimized the appearance of pores but for me I think the result does not directly showing that my pore are minimize or else. Hihihiii.. It is dermatologically tested. I hope this review help you more or less. I know this brand is really difficult to find here in Malaysia but don't be to aggressive buy this powder from seller who selling this for unreasonable price. This suppose to be an affordable products for us. If you can browse for more go and do some research and compare the price instead ok.